THE 2018 Liqui-Moly Bathurst 12 Hour will once again be shown live and free via the Seven Network around Australia. 7mate will again show the entirety of the race on Sunday, February 4 with coverage commencing at 5:30am AEDT, ahead of the traditional race start time of 5:45am. Live coverage of the Pirelli Top-10 Shootout on Saturday will ensure 13.5 hours of live coverage will be aired across the weekend. The shootout will also be aired on 7mate with coverage commencing at 4:00pm on Saturday, February 3. A one-hour highlights program will also air on both Channel 7 and 7mate in the weeks following the race. “Seven has a deep connection with Mount Panorama over more than five decades,” said Saul Shtein, Head of Sport for Seven. Fans will also be able to follow the race via their computer or mobile device in Australia thanks to the 7Live app or the official event website, while International audiences can follow the race online via a live stream hosted on the official event website, www.bathurst12hour.com.au. Mark Beretta will host the coverage and will again cover the race from pit lane. He will be joined in the lane by Chad Neylon and Shea Adam while 7 News Journalist Alex Hart will also join the team for the first time to add more coverage from the paddock. The voice of global sports car racing, John Hindhaugh, Graham Goodwin and Richard Craill will call the race from the commentary box. 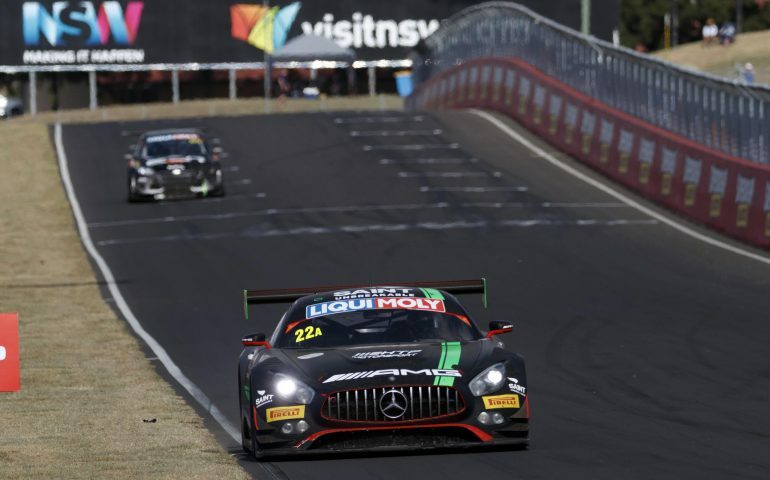 The 2017 Liqui-Moly Bathurst 12 Hour was viewed by an average audience of more than 400,000 on Sunday, with the telecast reaching an audience of 1.2 million people. There were more than 800,000 streams of the race and Pirelli Top-10 shootout via the event website and streaming partners. “We are very happy to continue the longstanding relationship between the Seven Network and endurance motor racing at Mount Panorama,” Event Director John Casey said. “Seven has been a vital partner in the growth of the race in recent years and in 2018 their viewers will see possibly the best Bathurst 12 Hour grid yet. Stay up-to-date with the latest #B12HR news via Facebook and Twitter.